2012 – PECO Energy in Philadelphia replaced all its Sensus smart meters after several of them overheated and caught fire, two of them resulting in serious house fires. 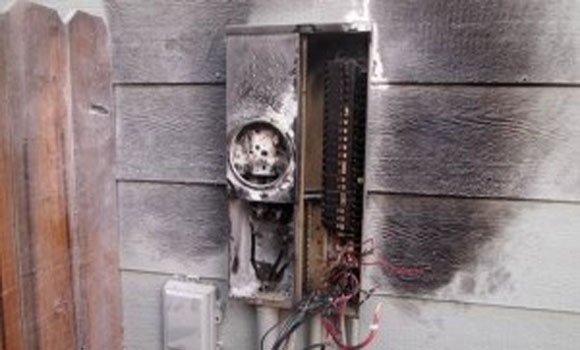 (Source) Subsequently in February 2014, outfitted with the replacement Landis+Gyr smart meter, an apartment complex caught on fire in Bensalem, Pennsylvania displacing 14 families and resulting in damage to nearly 20 apartments, 5 with significant smoke damage. One firefighter was also injured. (Source) See a video of this fire below. To date, data received from seven recent issues in an installed base of 175,000 meters points to contributing, long-standing industry issues: one was caused by an issue with a meter base attached to a home, three were caused by utility over voltage, two were caused by water intrusion through the meter base and one remains under investigation. Given that there are more than 40 million meters deployed to date in North America, the failure rates seen in the industry are very low. Landis+Gyr has not made any formal comments about the fires caused by its smart meters. So for now, the burden is on you, the customer, to monitor the smart meter on your home and make sure it’s not running too hot, and not a danger to you and your family.